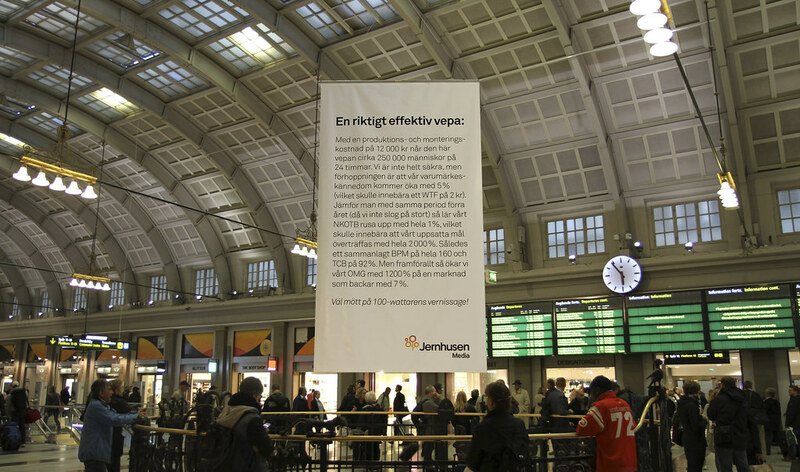 Jernhusen administrates commercial spaces on railway stations all over Sweden. This year, they’re also one of the sponsors behind 100 Watts, an advertising competition with the purpose to measure real effectivity in advertising. On the competition’s nominations vernissage, that was held at the Stockholm Central Railway Station, we took the opportunity to present an advertisement for Jernhusens great commercial spaces, following the same written style as an entry for the competition.